A fablous home that looks and feels like new!! Only better! Beautiful landscaping, large backyard with a nice deck for grilling. Master suite features a beauitful bathroom and large walkin closet! No need to update anything in this home! Stainless applainces in the kitchen, washer and dryer in the main floor laundery are included. Basement is roughed in for a large rec room, 4th bedroom and a 3rd full bath. Just finish it to your own tastes. 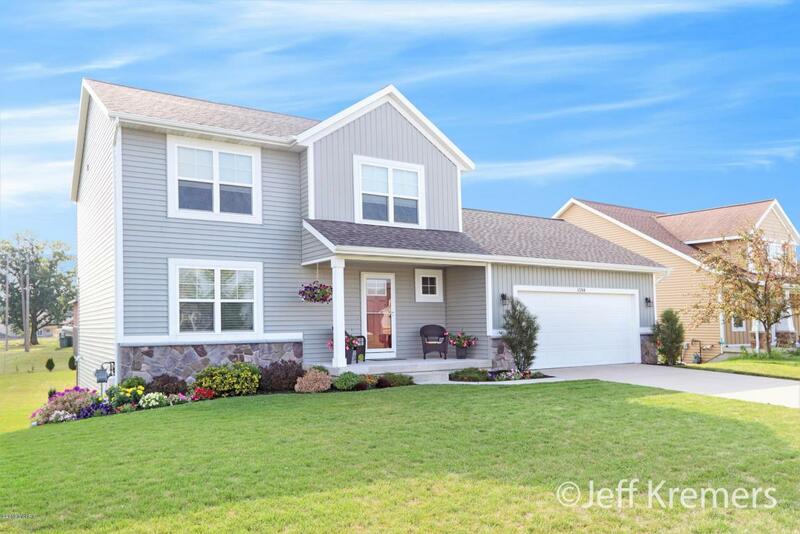 Super convienent location to everything you need including 10 minutes to GVSU and only 15 minutes to Lake Michigan, this home has it all. Check out the pictures, get your appoitment scheduled to see it and come see why at $139.00 per sq, ft. this home is a steal compared to new construction. Listing provided courtesy of Jeffery S Kremers of West Michigan Realty Pros. © 2019 MichRIC, LLC. All rights reserved. Information deemed reliable but not guaranteed.